SOME OF THE OVER 50 firearms found Tuesday in the home of a Huntington Beach man accused of making criminal threats to kill in a financial dispute (Laguna Beach PD photos). 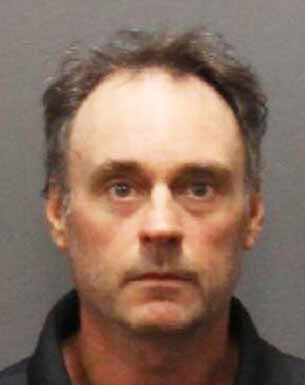 A 51-year-old Huntington Beach man was arrested at his home Tuesday by Laguna Beach police investigating criminal charges of making threats to kill. 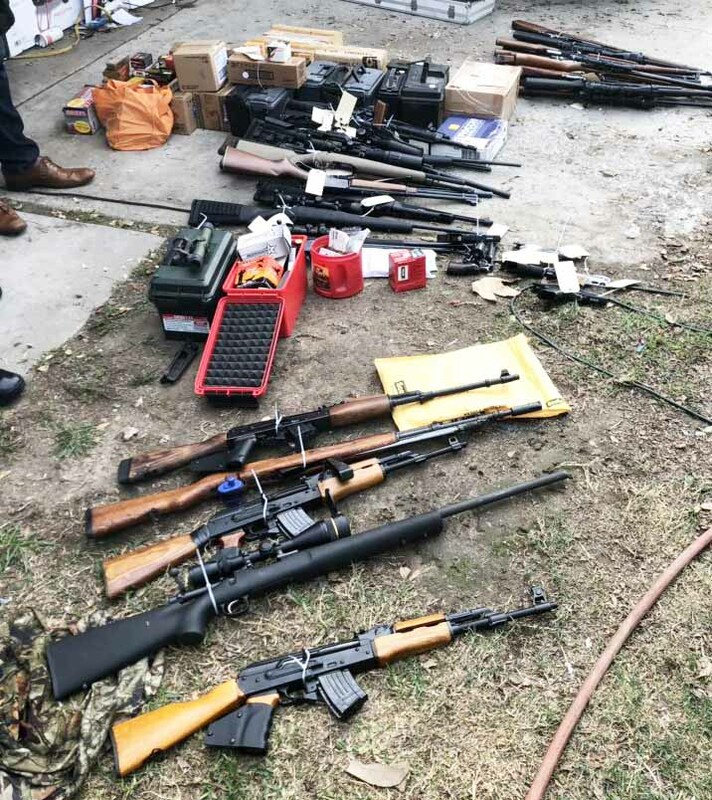 Taken into custody was Mitchell Todd after police served a search warrant on his home in the 15000 block of Cambray Lane, where officers found more than 50 firearms – including assault and sniper riles – with ammunition and Nazi memorabilia and flags. Only 12 of the guns were registered to the suspect. Police have been investigating Todd for weeks after he allegedly threatened a man in a dispute over Todd’s dove-release business. A dispute developed over the payment for the release of doves over the man’s son’s funeral. According to reports, Todd was given a psychological assessment at an area hospital and then booked into Orange County Jail in Santa Ana.